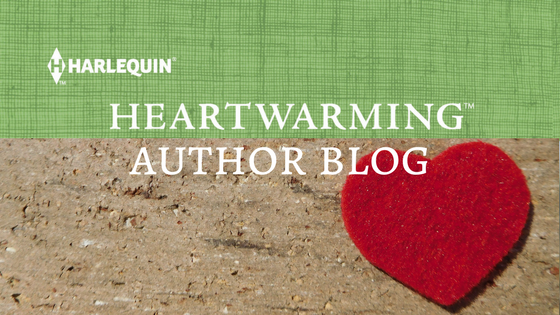 Today we’re celebrating Tara Taylor Quinn's new release, The Cowboy's Twins. It's on sale for 20% off right now! Just click on the title and enter coupon code HEARTGIFTS. So tell us, Tara, where did you get the idea for this novel? both of which can be purchased with above link and coupon code! All three books take place around a reality cooking show, Family Secrets. Each book also features a hero or heroine whose life is deeply effected by a family secret. The Cowboy's Twins is the story of the show's host - a cowboy with a major secret. I don't really know where the specific idea came from, but I know the source of my cow information! I have family members who raise cattle. To attest to that, here's a not so great picture of me, taken just a few weeks ago, on a family farm. Who could resist this cowboy? When he heard the intensity rising in his son’s voice, Spencer entered the room to see two dark-haired little kids standing on stools, their brown gazes at war in the mirror. Neither of them had anything resembling toothbrushes in sight. I'm never good at this question. I can't play favorites. I truly love them all - for different reasons and in different ways. Spencer's the quintessential hero. I relate to Natasha so much. And the twins...I love every minute I spent with them! I just finished a new proposal this week - for an upcoming project. I'm in the middle of a book due next month - Book Thirteen in my Where Secrets Are Safe series for Superromance. And I'm also in the middle of revisions for Book Twelve in that same series, For Joy's Sake, which is out this August! If you click to visit my website now, join my mailing list (duplicate joins will be deleted) you will be directed to a FREE Novella! Thank you!! I'm going to be at Special Edition, too and will be very very happy to come back to a Heartwarming home anytime I am asked! Hi, Tara! We are going to miss you at Heartwarming. As usual, it sounds like you have plenty of projects to keep you busy. I love Superromance, too, so we still have lots to look forward to from you. Congratulations on your latest, The Cowboy's Twins. This excerpt is so cute. Thank you!! I loved doing these twins. I didn't plan on them, or even work on them. They just jumped onto the page and took over! I've truly enjoyed the Family Secrets series, but I believe The Cowboy's Twins is my favorite. Who can resist such a devoted father? Tara! I feel like I just got here and you're leaving. :( I guess I'll just have to stalk you other places, lol. Loved the excerpt and can't wait to read the book! To a fellow Arizonian...stalk me anytime! Tara, I'll miss you. But hopefully I'll find you elsewhere. Happy writing and best wishes on your new adventures. Missed this yesterday as I and some writer friends were off doing the Tucson's Women's March. But I have this book in my TBR stack and looking forward to it like all of your other stories. You have a pile of work, my friend. I know you will do a smashing job with all. Best of luck with all your projects, Tara. Wish you all the best in the future!